Although we already had some February 1970 pitures, I choose this picture because I think it's beautiful. In this photo one can see the power and devotion Elvis had during this Las Vegas engagement. Several new songs like 'Don't Cry Daddy', 'Let It Be Me' and 'The Wonder Of You' decreased the tempo of the shows. Elvis showed the audience his capability to do beautiful ballads. 'Polk Salad Annie' and 'Kentucky Rain' were great songs for Elvis to show his power. 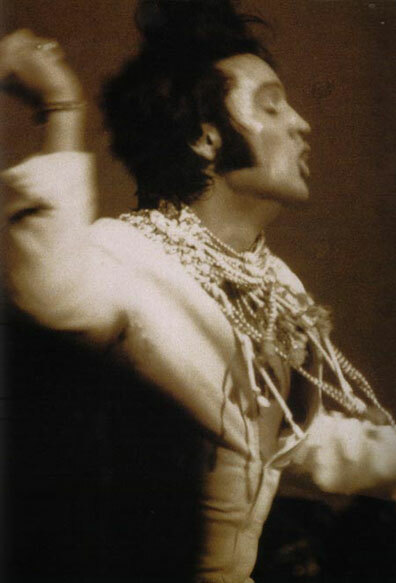 Elvis' special sense of humour between songs sometimes produced angry comments from people. They were disappointed when Elvis didn't take the songs or himself seriously. But those people were in the minority, and seen in the wider context this second season was no less succesful than the comeback season.